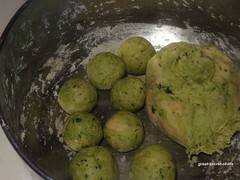 Methi Poori. 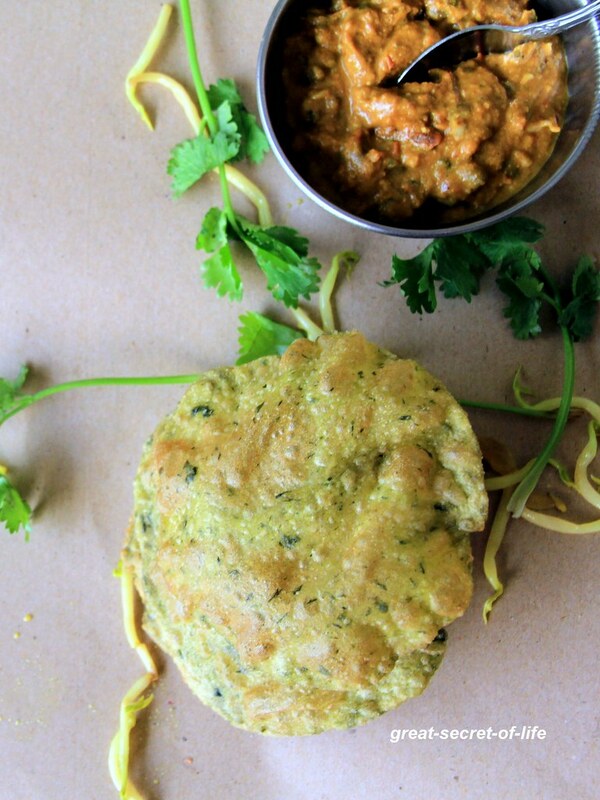 I have done this many times but not sure why it took so long to post this recipe in my space. 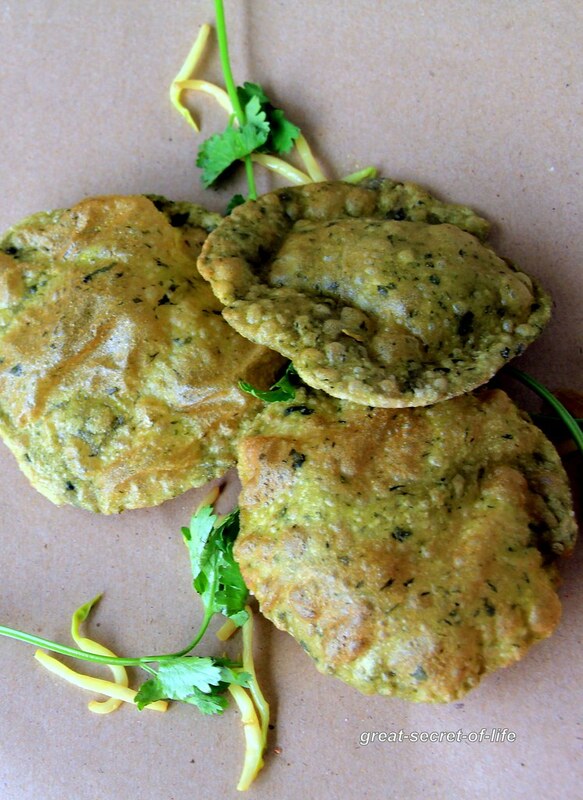 My kids prefer Maida poori or Bhatora over wheat poori. 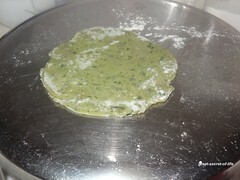 However they are big fan of this Methi poori. This is very flavourful recipe. You can have it with simple pickle or yogurt based pachadi. 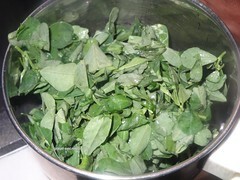 I normally use fresh Methi leaves. If you don't get it you can use frozen or dry one. 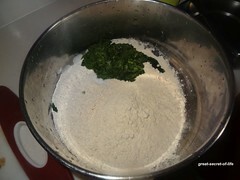 If you are using dried Methi soak it in hot water and drain the water before using it. 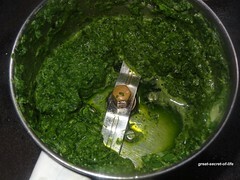 Clean Methi Leaves and grind to coarse paste. When Oil is hot slide the rolled poori slowly. Press it with laddle. It will puff up. Pour oil on top of it. 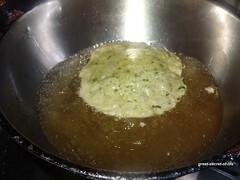 Flip it over and cook till bubble cease. 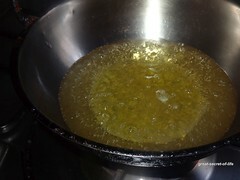 Drain extra oil and place it on kitchen tissue paper. 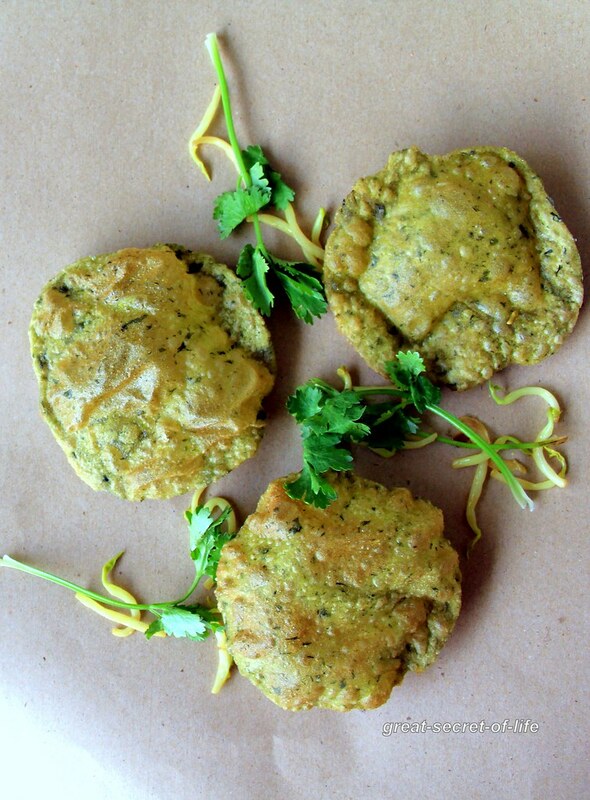 Love methi, can imagine the flavor from these puris..